Ind vs Aus: Can Mayank Agrawal fill the vaccum at the top of batting order? 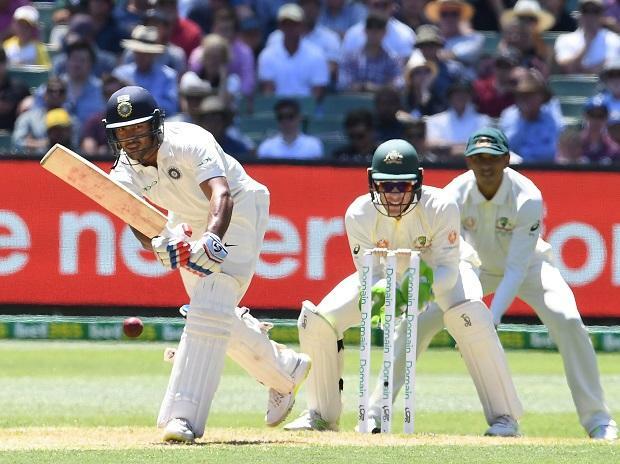 India opener Mayank Agarwal was livid with himself after squandering a golden opportunity to score a maiden Test hundred on day one of the fourth Test but hopes to quickly learn from mistakes in his fledgling career. Agarwal scored 77 runs while Cheteshwar Pujara scored his 18th Test hundred as India finished at 303-4 at stumps. They put on 116 runs for the second wicket, setting a platform for the rest of this Test. The Karnataka opener had made 76 and 42 in his debut Test in Melbourne. "I am quite disappointed for missing out on a big score. With that said, it's a learning curve. If I don't make this mistake again, it will be a good learning. I was looking to dominate Nathan Lyon and it didn't work out. Really disappointed that I threw my wicket," he said on Thursday. India lost KL Rahul early and the duo faced a testing spell of short bowling from the Australian pacers. Agarwal said that their focus was on building partnerships, and he was talking with Pujara for the same throughout. "Recently I faced such short bowling from New Zealand-A side (in New Zealand). They also came very hard, but to be really honest, I think the Australian pace bowling attack came really, really hard. They bowled quick bouncers and they were sharp. They were consistent and didn't give anything away," he said. "The plan was always to get a small partnership after each wicket and that's the same thing we spoke about. We said to each other that let's try to play close to the body and not give them wickets. Even if we are not getting too many runs too quick, it's alright; let's try get a partnership and take it from there onwards," he added. "Definitely, it is great to watch him bat from the other end and also to watch him bat the way he grinds the bowlers. He has got a pattern to it and he understands his strengths and know that he is very tight with his defence. He looks to do that and waits for the bad ball to come. "This game is for five days and there is time. It is a very long game and if you see him bat, you can learn a lot. Patience is his strength and he sticks to that," he said. "Runs gives you lot of confidence. The more you play it gives you confidence and belief in your game. I think those runs have really helped me and have given me a lot of confidence. They have helped me stay within myself. "Obviously playing under Dravid is good. We, as batsmen, speak about our technique and the game, and he is out there to help us, guide us and help us climb the ladder. And his advice has been really helpful. He told me to think about how to manage my mental energy and that's something we have spoken about for 4-6 months." Talking about the course of this Test on the second day, Agarwal said, "We are very happy, we would have liked to be just three down but that said 303-4 on first day after choosing to bat, I think we are in a great position.